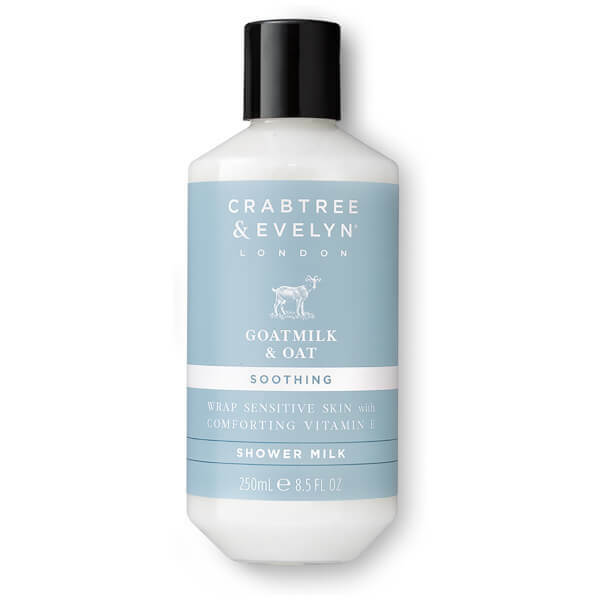 Restore dry, sensitive skin with the Crabtree & Evelyn Goatmilk & Oat Shower Milk; a soothing, ultra-gentle body wash that's perfect for daily use. Sweeping away dirt and impurities, the creamy, soap-free formula boasts a comforting blend of Oat Kernel and free-range Goat’s Milk, used for centuries in ancient Egyptian rituals to soothe and replenish. Complete with Vitamin E and Honey, it leaves skin feeling sumptuously soft and deeply moisturised with a fresh, clean and calm scent. Work gently into skin with water as part of your daily cleansing routine.